Many might remember Uruguay’s former president, José Mujica, who used to donate 90% of his salary to charity, leading many to call him "the world's humblest head of state." And while the country is home to many beautiful beaches, it’s also home to technological endeavors worth noting. Here are ten facts about the growing technology scene in Uruguay. This tiny country is chalked full of software experts, who expert their services and software globally. It’s the third leading software exporter per capita in the world. There are over 700 IT companies in the country who export mainly to the United States and Brazil. Uruguay continually ranks high in democracy, peace, low corruption rates, and high GDP per capita. While Uruguay has felt economic instability in the past, due partly to its neighbor’s woes, the country remains a stable place to live and work. Uruguay has a fifteen year GDP growth streak. The GDP grew by 2.7% in 2017, which shows steady growth since 2002, the country’s most recent economic disaster stemming from Argentina defaulting on its debt. This growth is especially notable since both Brazil and Argentina entered a recession in 2014. The National Agency for Investigation and Innovation (ANII) is a government entity that promotes research and the application of new knowledge to the productivity and social reality of Uruguay. ANII releases public funds for research projects, national and international postgraduate scholarships, and incentive programs for innovative culture and entrepreneurship, both in the private and public sectors. Uruguay XXI is another government organization that promotes imports and exports with the goal of making the country an investor destination. The group gives information and incentives to global companies and investors looking to expand to Uruguay. There are 147.3 mobile phones per 100 people in Uruguay, and roughly 70% of the population uses the Internet. There are plenty of opportunities for connected companies to enter or expand to Uruguay. Uruguay has free trade agreements with Brazil, Mexico, and Argentina, the three most important Latin American markets. Uruguay also does not tax companies that have no activity within the country itself. Probably the biggest benefit is that global IT firms are a 100% exempt of income tax for the payment obtained through the exports of software and its related services. Given that, it’s clear why Uruguay has so many software development firms. Universities in Uruguay were one of the first to offer degrees in video game design, which is part of the reason why so many game developers call Uruguay home. Powerful Robot Games, which closed its doors in 2012, was the first company to create a game for a Presidential election. Ironhide Game Studio, located in Montevideo, created the vastly popular Kingdom Rush Saga and won multiple awards for its games. In fact, public spending in these two industries increased 73% from 2007 to 2015. An interesting case of this benefiting the country is in cattle farming. Uruguay was the first Latin American country to make all of its beef exports electronically traceable. This meant that disease was caught early and buyers could be reassured of quality. Now, Uruguay sells more beef than Argentina, whose exports fell by 75% between 2005 and 2012. Fintech startup Bankingly recently raised US$5.25M for its software that seeks to improve financial inclusion by providing digital channels for banking institutions that service underbanked or lower-income people. Online food delivery company, PedidosYa, raised over US$7.5M and was acquired by German online ordering company, Delivery Hero. 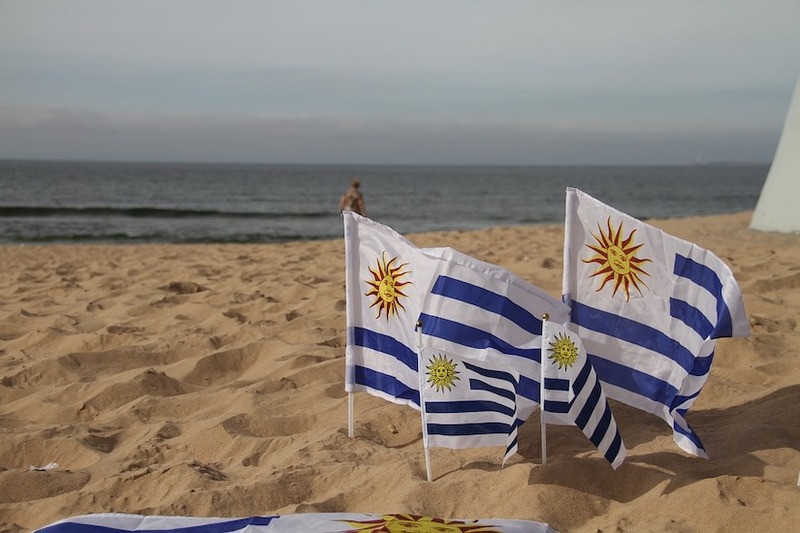 Uruguay boasts exceptionally high literacy rates and an educated population. That, coupled with government support of innovation, makes it clear why Uruguay is a global leader in technology. The country continually ranks in the top spot in technology and innovation awards in Latin America because of its adoption of fixed broadband, especially fiber optic, the improvement of international connectivity with the submarine cable system, and giving all public school children access to computers. Uruguay’s liberal regulations and push for innovation have put this tiny country on the global map for technology. With a growing GDP, Uruguay has been able to make technological changes to improve the country. It’s clear why Uruguay is becoming a country to watch in Latin American and on a global scale for technological innovation. For more facts about Latin America’s technology scene, read our post on Mexico.